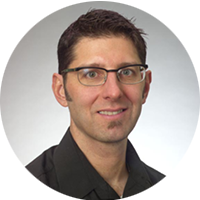 GSB Environmental Strategy Senior Scientist, HP Inc.
Nils is a technical interface between HP’s inkjet Supplies (Ink, Media, Printhead) Research & Product Stewardship organizations, and a technology spokesperson for HP. Responsibilities include developing and communicating HP’s environmental innovation strategy across various platforms in HP’s Graphics Solutions Business (GSB), as well as building and managing relationships with industry partners, trade groups, standards organizations, independent research labs, and ecolabel/regulatory agencies. Responsibilities include technical leadership of inkjet-printed food packaging compliance. Nils’ academic background includes a B.S. degree in Chemical Engineering from Oregon State University, Corvallis, and a Ph.D. in Chemical Engineering from University of Washington, Seattle with a focus on Colloid & Surface Science including Physical Chemistry research at University of Sydney, Sydney Australia. He began his career with HP in 1993. Food-safe inks enable brands to create high-quality, effective packaging that is safe for consumers and compliant with global food safety regulations and guidelines, including the FDA, EU Framework, Nestlé Guidance, Swiss Ordinance, and more. Meet the HP PageWide Industrial (PWI) water-based inks, including HP A30Water-Based Inks (and HP P36 Water-Based Priming Agent) for pre-print presses, and the new HP CV150 Water-Based Inks (and HP CV150 Water-Based Bonding Agent) for the post-print HP PageWide C500 Press. These inks are free of any UV-reactive chemistries and safe for use on primary packaging, helping your brand to achieve compliance and keep consumers safe.